For a brief time Lake Champlain threw a wrench into the mix, becoming the sixth Great Lake in 1998. This helped the large fresh water body recieve Sea Grant Funding. Shortly thereafter, its "Great Lake" classification was retracted. HOMES lives on. Maybe the bureaucrats pulled the plug on Champlain after they realized the new anagram would be SCHMOE, which fittingly translates to "stupid person" (that's a knock on politicians, not Champlain). The Great Lakes are massive, interconnected fresh water lakes bordering Canada in America's upper midwest. They contain 21% of the Earth's fresh surface water by volume, enough water to uniformly cover the Lower 48 under 9.5 feet of the clear blue stuff. But in my humble opinion, the greatness of these lakes is imperceptible. To this point, Lake Huron and Lake Michigan, two separate Great Lakes, are technically the same lake, as they are at the same elevation, and connected by a channel with no consistent flow direction. How "great" can something really be if you can't even tell if you're looking at one or two of them? Stand at their banks and gaze out at the horizon. Most likely your brain will only perceive an ocean with unimpressively small waves crashing the shore. Yes the lakes are large. But I would argue they are so large they are beyond any useful measure as recreational attractions. While these official Great Lakes have the stats for the Hall of Fame status, they sorely lack the presence to win the moment. Their fame is of formality, almost technicality. 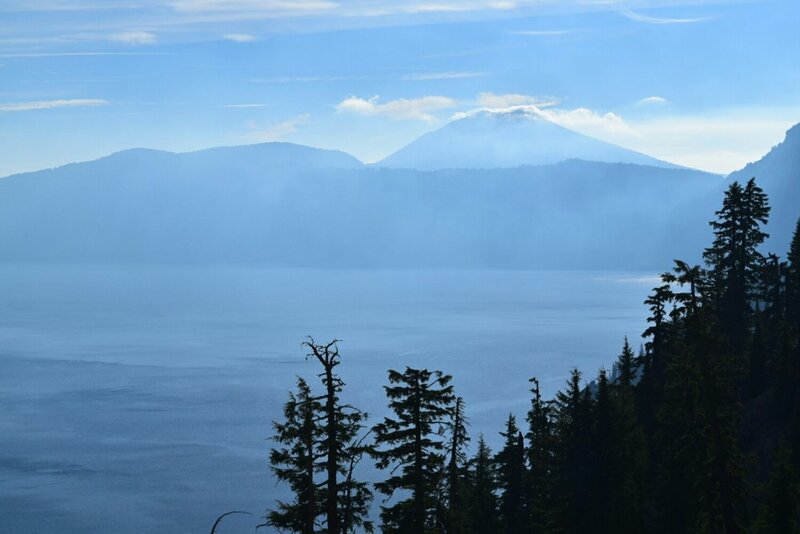 Today I'm posting from Crater Lake National Park. 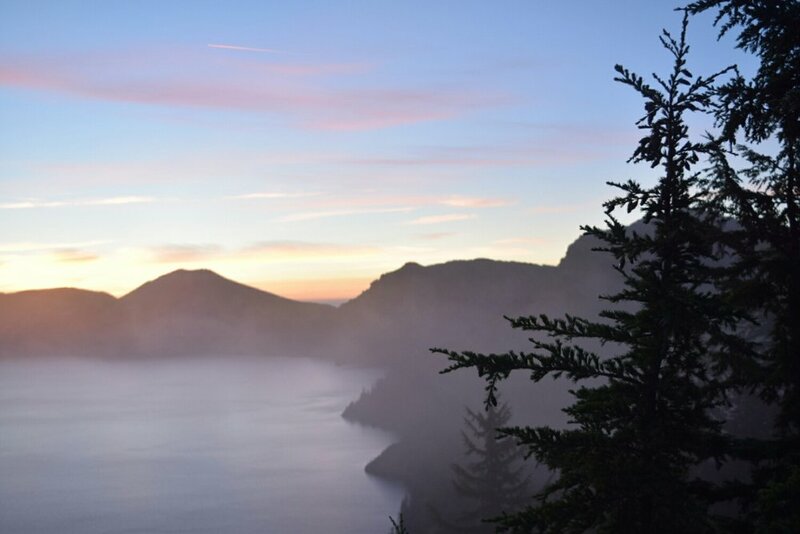 On the site of the former Mazama Volcano, the lake was formed after the 12,000 foot beheamath erupted 7,000 years ago. Encircled by a mountainous rim, the lake can only be viewed in whole from just the right spot. Either by car, or preferably by trail, one can cover the rim in one unforgettable day. 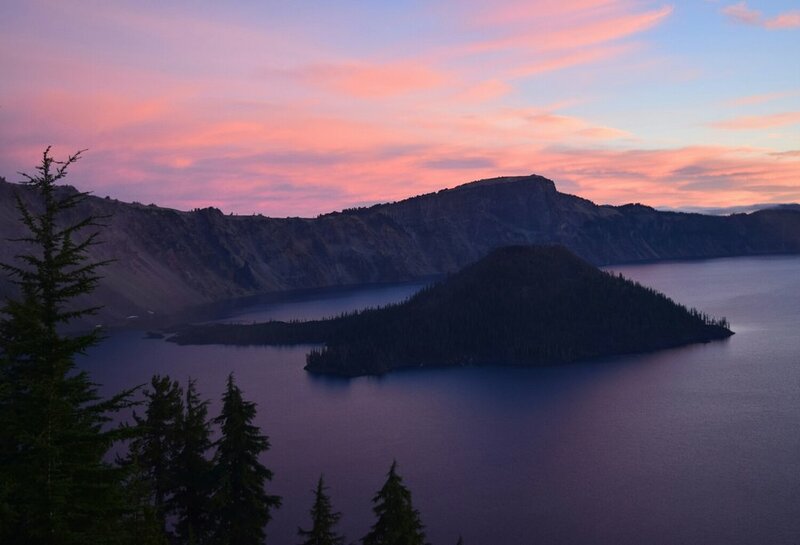 There's even an opportunity to take a boat ride to Wizard Island, the iconic mass within Crater Lake.